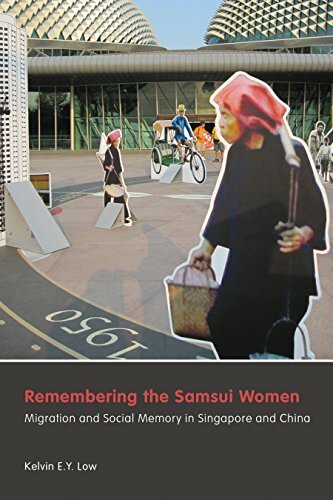 [PDF] Remembering the Samsui Women: Migration and Social Memory in Singapore and China (Contemporary Chinese Studies) | Free eBooks Download - EBOOKEE! Posted on 2017-11-17, by luongquocchinh. Description: Remembering the Samsui Women tells the story of women from the Samsui area of Guangdong, China, who migrated to Singapore during a period of economic and natural calamities, leaving their families behind. In their new country, many found work in the construction industry, while others worked in households or factories, where they were called hong tou jin, translated literally as "red-head-scarf," after headgear that protected them from the sun. Adding on to current debates in the fields of social memory and migration studies, this is the first book to examine how the Samsui women remember their own migratory experiences and how they, in turn, are being remembered as pioneering figures in both Singapore and China. 2018-01-14[PDF] Hitched The Modern Women and Arranged Marriage. No comments for "[PDF] Remembering the Samsui Women: Migration and Social Memory in Singapore and China (Contemporary Chinese Studies)".